Valton was best known for his Chained Mastiff and his sculptures of big cats but he also did some other fine small models. 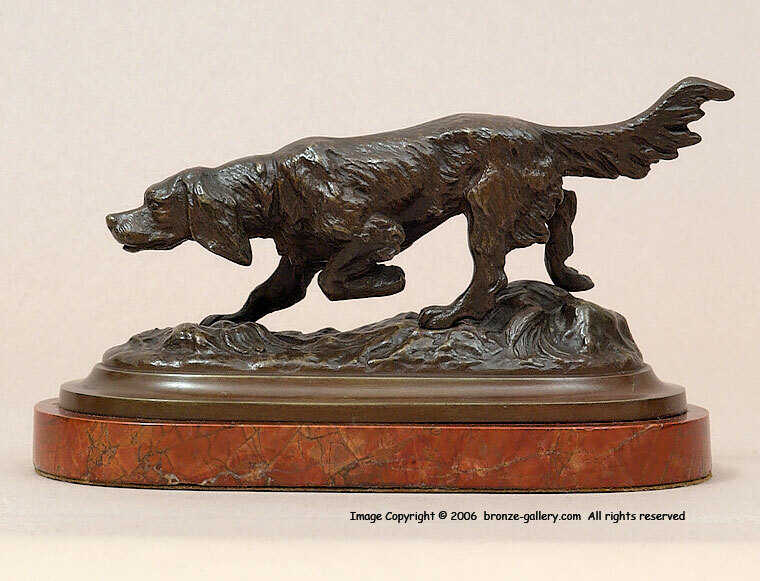 This bronze of a Setter hunting is an excellent example of his talent. Hunting was very popular in the mid 19th century and bronzes of hunting dogs and game birds were sought after to use as decorations for the home. 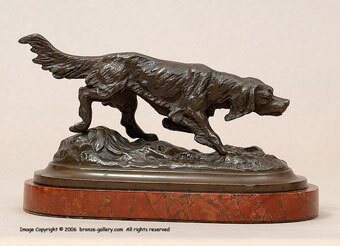 Setters and Retrievers with their long fur were good subjects for sculpture. Our Valton Setter is well detailed, he is frozen in motion as he trots along searching for a bird. He has a rich brown patina and is mounted on a 5 7/8" by 1/2" (15 cm by 1 cm) rouge marble base.